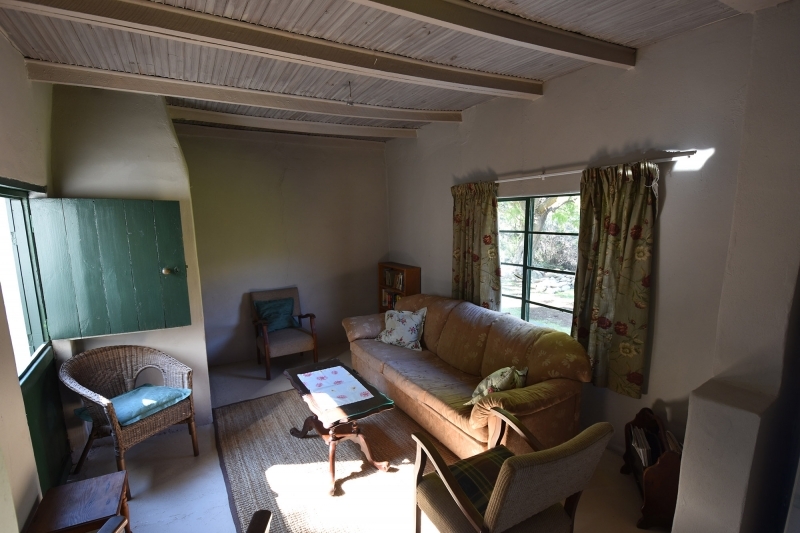 This dwelling belonged to the other Mostert brother (Oom Piet) and is situated next to the lovely little mountain stream running through the whole property. 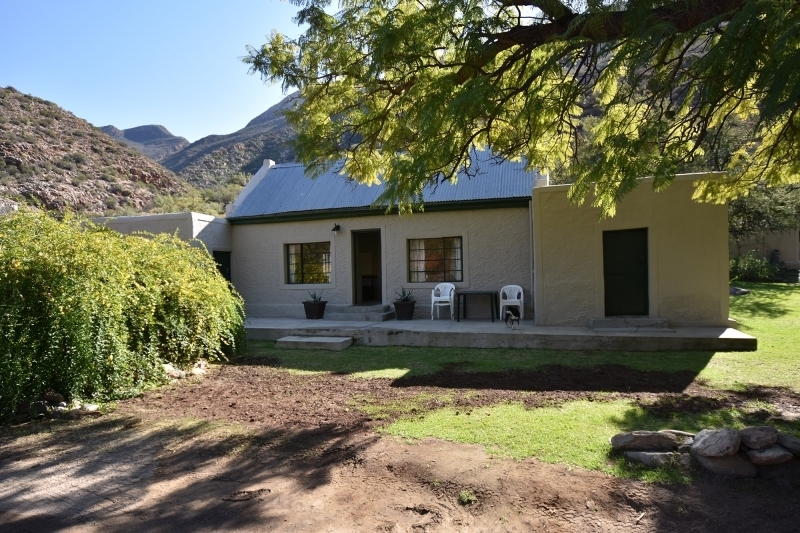 It is also approximately 500 yards away from the main farm yard of Boplaas. 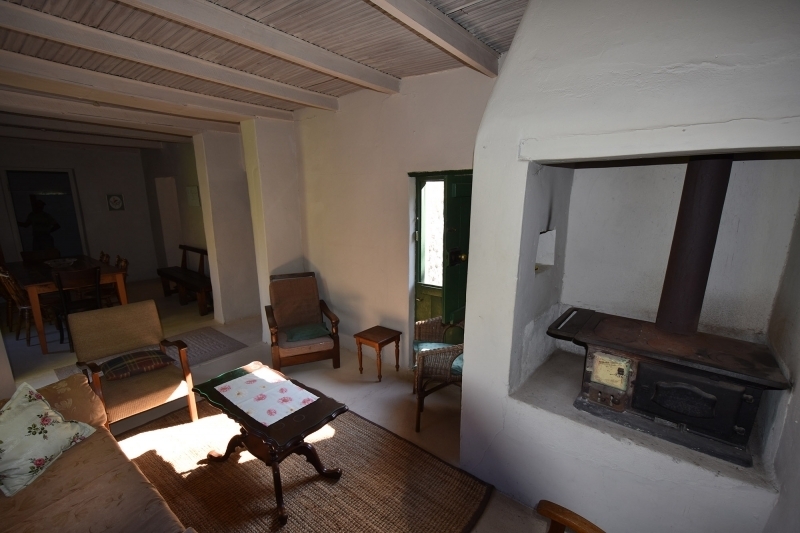 The front door leads into a very spacious open plan living area: consisting of a sitting area with a wood burning Dover stove, which provides heating in winter and adds a special atmosphere to this cottage; a dining area, which leads to the well-equipped kitchen at the back. 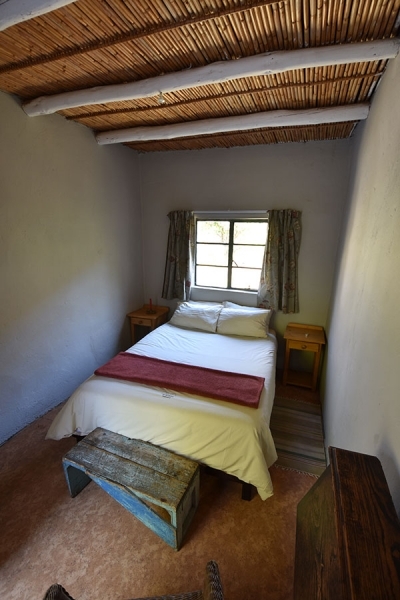 A double bed occupies the spacious main bedroom inside the main house. Leading from the front veranda two bedrooms are situated on each side of the house. One bedroom sleeps two people in separate beds and the other consists of a rather big room occupied by four single beds. Bedding is provided, but no towels (they only get taken away!). 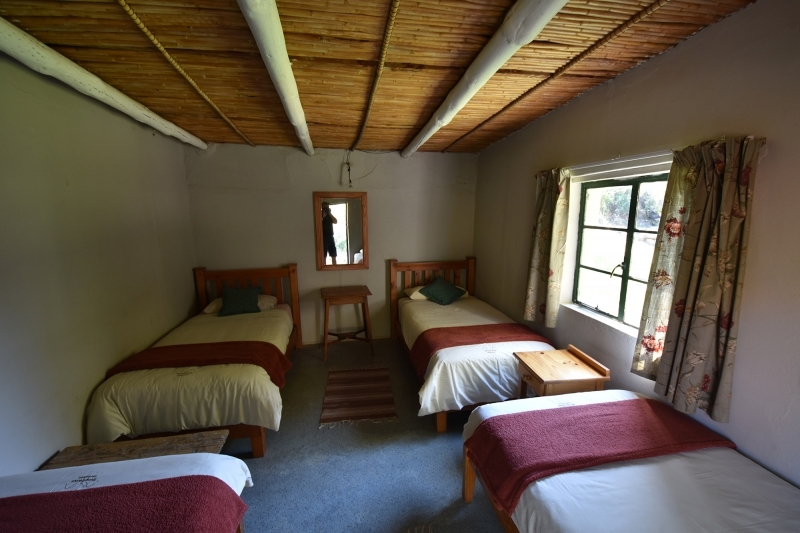 There is a bathroom adjacent to the dining room inside, which is shared by all; but outside a flush toilet, wash basin and hot water shower are also available, overlooking the mountain side. 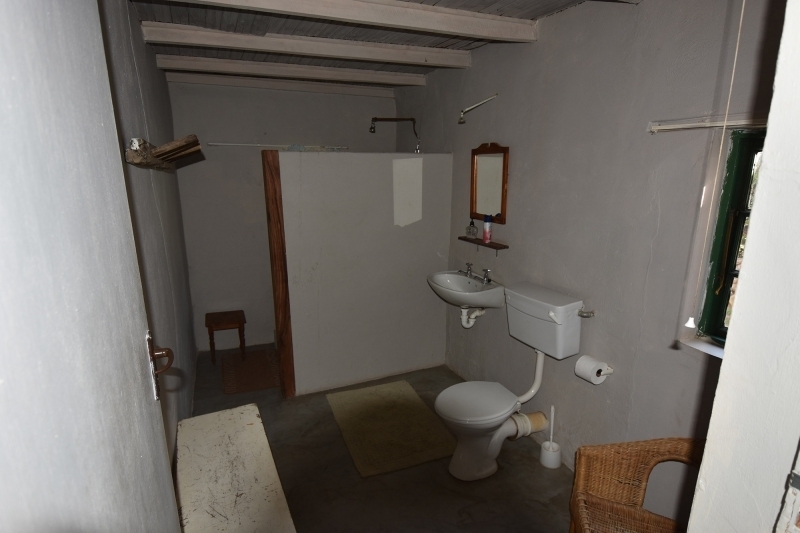 These facilities are open roofed to nature, except for the toilet. The kitchen is equipped with a gas fridge, a two plate gas cooker and big sink area. Cutlery, crockery and basic barbecue tools and a grid are supplied. A gas geyser supplies hot water for the inside shower and sink in the kitchen. 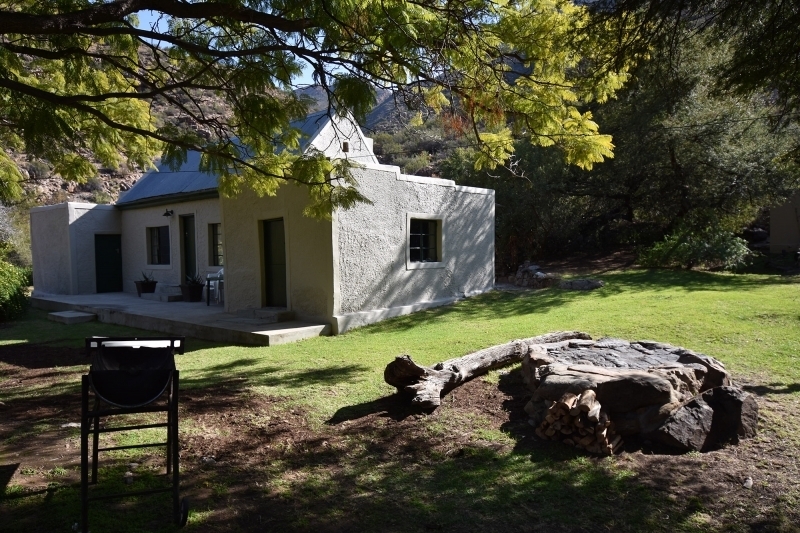 Outside there is a lovely braai area and the side of the cottage is covered by a grass lawn. Braai wood is available to purchase on request or bring your own. A shallow pool in the mountain stream next to the cottage has been opened up to provide an area to cool off. 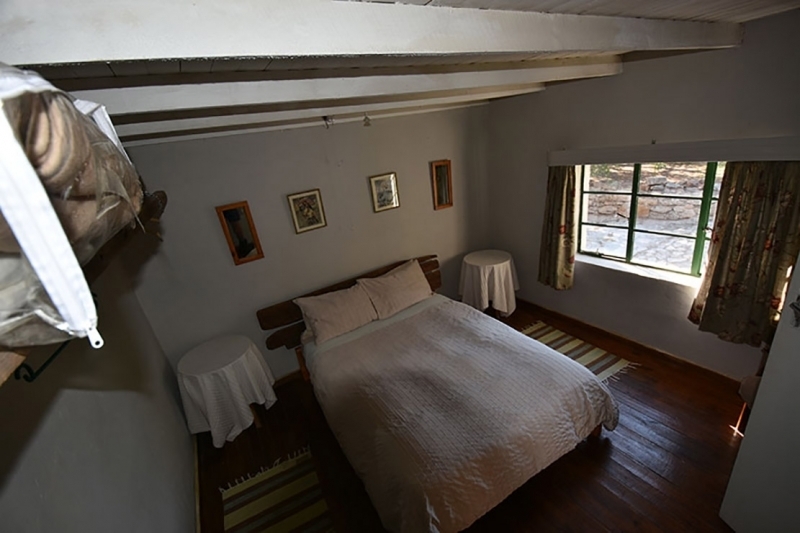 This cottage is equipped with solar lighting, but a lamp and candles are available for emergencies. For additional information what to bring on your visit, go to the Information page. 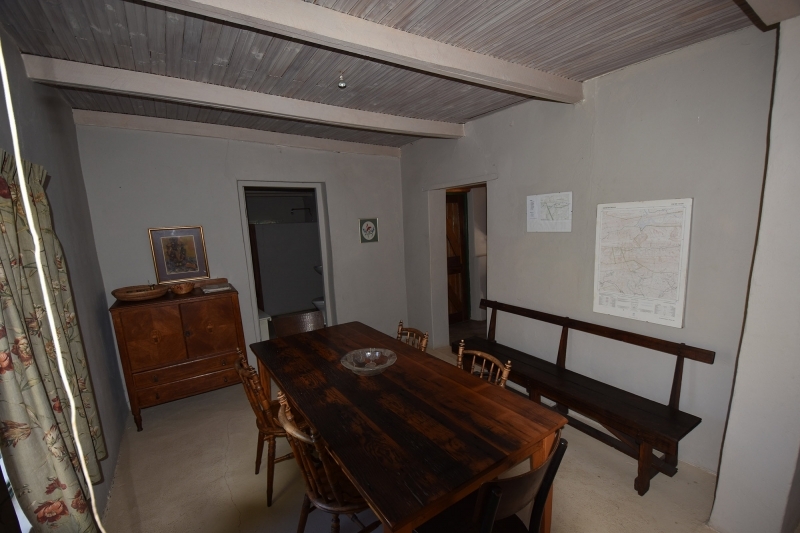 Read more about the history of this cottage on the History page. For bookings please contact Rykie on 0833066715 or e-mail boplaas@gmail.com.